The Neonatal Brain Research Group, University College Cork is a multidisciplinary team, established in 2003 to investigate brain injury and seizures in newborn babies. Based in the in the new 50-cot state of the art Neonatal Intensive Care Unit of Cork University Maternity Hospital, the group specialise in the analysis of the electroencephalogram (EEG) and other physiological signals. The overall aim of the group is to improve the long term health outcomes of newborn babies through early and accurate detection of neurological problems. The team consists of clinicians, scientists and engineers who are currently working on new classifications of the neonatal EEG, investigating the application of the EEG to diagnosis and prognosis, and developing methods to automatically analyse the EEG. We are also developing applications of teleneurophysiology and assessing the effect of medication on sick newborns. Dr Gordon Lightbody is a Science Foundation Ireland Principal Investigator and Senior Lecturer in Control Engineering at in the Department of Electrical & Electronic Engineering at University College Cork, Ireland. 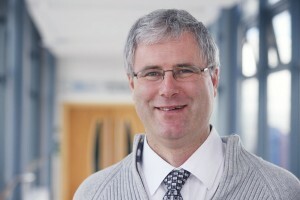 Gordon graduated first in his class with the MEng degree (1989), and then PhD (1993) both in Electrical and Electronic Engineering from Queen’s University Belfast. After a one year post-doctoral position funded by Du Pont, he was appointed by Queen’s University as a Lecturer in Modern Control Systems. At Queens, his research focused primarily on the application of intelligent control, system identification and fault detection/diagnosis to the chemical industry. In 1997 he was appointed as a Lecturer in Control Engineering at University College Cork, and promoted to Senior Lecturer in 2008. 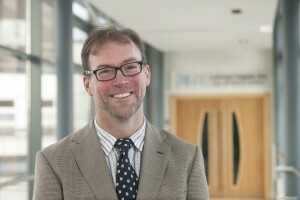 His current research focuses on the application of intelligent control techniques to key research areas, which include biomedical and energy applications. Within INFANT, Gordon works with Geraldine Boylan and Liam Marnane on research into machine learning and intelligent signal processing for the classification of neonatal EEG and other biomedical signals. This work won the “UCC Invention of the Year Award” in April 2010. Significantly this research was one of only several projects that were singled out for praise in the recently published Innovation Task Force Report of the Irish Government. In 2014, his paper “EEG-based neonatal seizure detection with Support Vector Machines” was highlighted as one of the most cited papers since 2009 in the Elsevier journal, Clinical Neurophysiology. 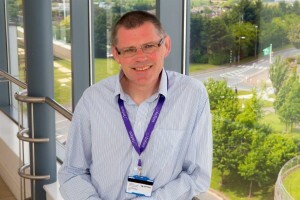 Gordon is an associate editor with the Elsevier journal, “Control Engineering Practice”. Professor Liam Marnane is a Senior Lecturer in Digital Signal Processing in the Department of Electrical & Electronic Engineering and the Dean of Graduate Studies at University College Cork, Ireland. Prof Liam Marnane is a Science Foundation Ireland Principal Investigator with a strong track record in Biomedical Signal Processing and digital design for digital signal processing (DSP), coding and cryptography. Geraldine Boylan, Gordon Lightbody and Liam Marnane have worked together continuously since 2003 and have a hugely successful portfolio of research grants including; HRB project grants and fellowship awards, SFI Investigator awards and Wellcome Trust Translational awards. Liam Marnane received the B.E. degree in electrical engineering from University College Cork in 1984 and the D.Phil degree from University of Oxford in 1989 studying test vector generation and design for test of VLSI designs. He was a lecturer in VLSI design at the School of Electronic Engineering Science, University of Wales, Bangor from 1989 to 1993. In 1992 he was a Visiting Researcher and Marie Cure Fellow at the Institute de Recherche en Informatique et Systemes Aleatoires, at the University of Rennes, France. In 1993 he was appointed as lecturer in Digital Signal Processing in the Department of Electrical & Electronic Engineering at University College Cork and as senior lecturer in 1999. In 1999 he was a visiting researcher to the Electronic Devices Research Group, Department of Physics, University of Linköping. He has been awarded the “Giner de Los Ríos” Visiting Research Fellowship of the University of Alcalá, Madrid, Spain, for 2007. His research interests include Biomedical Signal Processing and digital design for DSP, coding and cryptography. He is a member of the IEEE. Taragh Keily is the Project and Quality Manager for the Wellcome Trust ANSeR Project “Clinical Evaluation of Neonatal Seizure Detection Algorithm”, and also provides project management support to the NESTED project within our Neonatal Brain Research thematic area. Taragh Graduated from the University of Ulster with a BSc (Hons)Human Nutrition and subsequently worked in the private sector for 13years before joining INFANT in 2013. 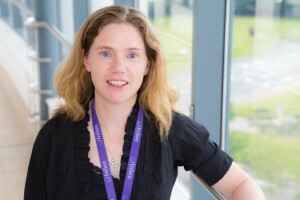 Mairead Murray has a BSc (Biotechnology) from Dublin City University (1993) and a HDip (Computer Science) from UCC (2002). Mairead started in INFANT on the BASELINE project. 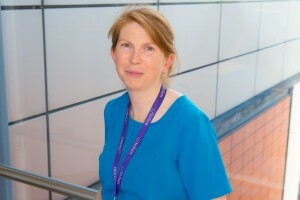 She then moved to the Neonatal Brain Research team as a Research Manager with particular responsibility for local involvement in the NEMO clinical trial, an EU FP7 funded project that is the largest multi-centre European study of neonatal seizures and their treatment. Mairead’s expertise includes Data Management, Knowledge Dissemination, Study Monitoring and Ethics in trials. Mairead is currently the Clinical Manager for the ANSeR project. ANSeR is a multi-centre, randomised, controlled, clinical investigation of a neonatal seizure detection algorithm. 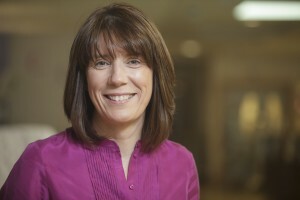 Jackie O’Leary is a qualified general nurse since 1988, and commenced her career in research in 1990. She worked as a research nurse initially, conducting bio-availability and bio-equivalence studies, PK/PD testing incorporating single and multiple-dose kinetic studies. In 2000, she moved into the area of Quality Control/Assurance and Monitoring, and gained valuable experience in conducting clinical trials, covering every aspect from protocol generation to final study report writing including statistics. Jackie completed a Diploma in Quality Management in 2006, has achieved a first class honours degree in Business (BBUS) from Cork Institute of Technology in 2012, and in 2014 received a Masters in Clinical Trials with honours from The London School of Hygiene and Tropical Medicine. 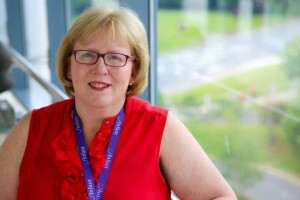 Jean Conway has twenty plus years research experience as a clinical trials manager in a clinical research organisation. She is proficient in ICH and GCP guidelines for Investigational Medicinal Products as well as being trained in ISO standards for medical device studies. She has also worked as a pharmacovigilance officer for a small drug company. Jean studied nursing at The University of New Hampshire in the USA from 1982-1986 before moving to Ireland in 1993 with her family. She is currently enrolled at The University of Edinburgh studying for a Masters in Clinical Research. Jean joined INFANT in December 2013, and works in the Neonatal Brain Research team as Project Manager for HRB-funded BiHIVE Study. 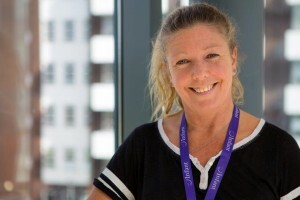 In March of 2013, Jean’s role expanded to encompass Assistant Clinical Project Manager for our Wellcome Trust funded ANSeR Study. In 2001 Liudmila qualified from Vitebsk State Medical University, Belarus, where she specialised in Neonatology and Paediatrics. She completed her Clinical Residency at the State Medical Academy of Post- Graduate Education, Minsk Belarus in2010, and has 9 years of clinical experience. Her current research interest is evolution of EEG characteristics during the first 72 hours after birth in infants with Hypoxic- Ischaemic Encephalopathy treated with controlled hypothermia and correlation of EEG changes with neurodevelopmental outcome at the age of 24 months.